Some of you may know that I’m not exactly the person with the most Christmas spirit. I like Christmas because its usually a time to relax, but I don’t feel the need to decorate or put up a tree. The best part is giving people presents. 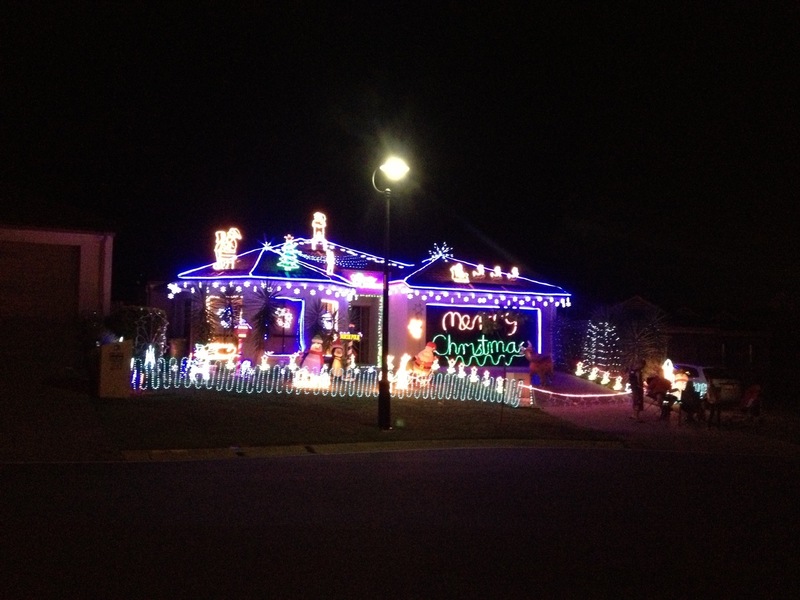 I do love how people get into the spirit by setting up Christmas lights. 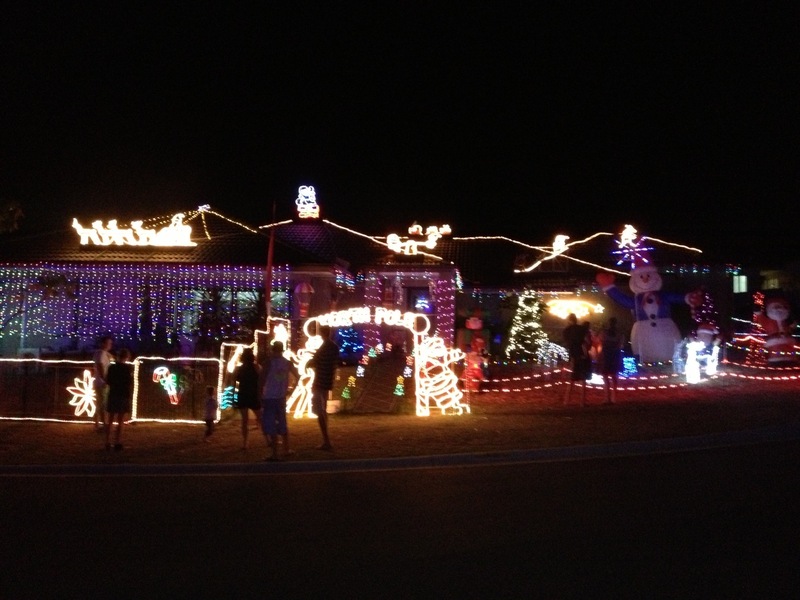 On the weekend we came across two neighboring houses who got into the spirit. One even had a bubble producing machine. You can imagine the joy of all the children coming up to have a look. That’s what I like about Christmas. It makes it feel like there should be lots of snow around. Here in Brisbane we usually swelter in the heat. After growing up with a white Christmas, but spending so many years having a summer Christmas, I’m not sure which one feels more real. ← Where’s the blue water at? LOVE the lights! I love giving presents too! Right here at home with my family. Wrapping presents in the evening to place under the tree to show that santa came! I love this holiday. Right now Wisconsin, But I am a bit of a Gipsy… Sad to say. Not really it should be colder. I remember when November felt like this. . . It’s freaking all the people out round here we are usually knee deep in snow! How about where you are?